Get the SQream DB Brochure! Big Data is getting ever bigger. Even with new solutions, the challenge is on to get real, actionable insights. You should really analyze more of your data, to understand the bigger picture. Your data matters - that's why you need SQream DB. SQream DB lets businesses users interact with trillions of rows to gain meaningful insights. 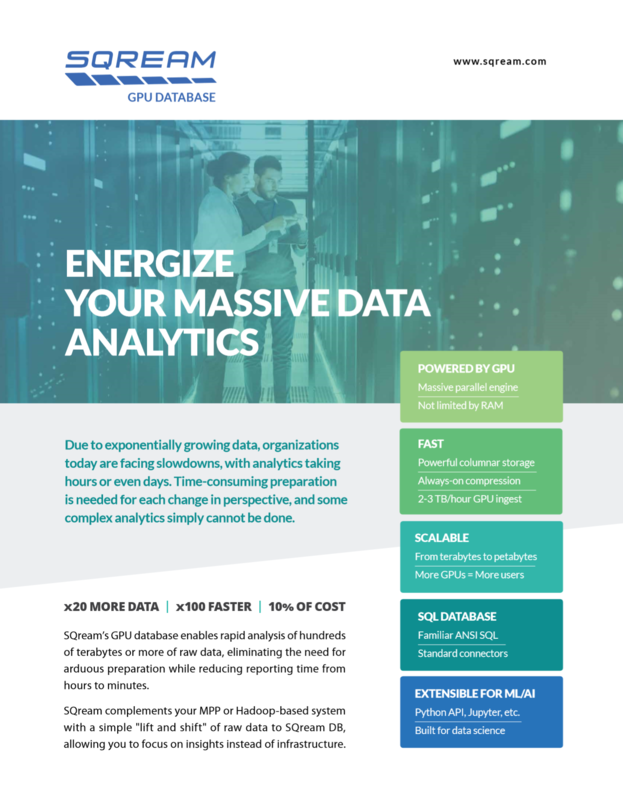 Download our brochure to learn about our GPU database technology that is revolutionizing Big Data Analytics. How you can use SQream DB in your environment.